It certainly seems the New England Patriots gave the Miami Dolphins a piece of their mind, doesn’t it? And while we’re at it, you can add all the skeptics who emphatically tried again to say this would be the year the Pats fell apart. From our vantage point, there were no signs of erosion — or derision — at Gillette Stadium during New England’s systematic 38-7 dismantling of the not-ready-for-primetime Dolphins. So much for Miami’s chance to build a three-game lead in the AFC East, the division the Pats have won 14 of the last 15 years. Instead, The Fish swam home with their 10th straight loss in New England and a reminder that the first three weeks of a season are merely test runs for the Pats. The best is yet to come. This was never a game. The Patriots quickly discouraged the Dolphins. 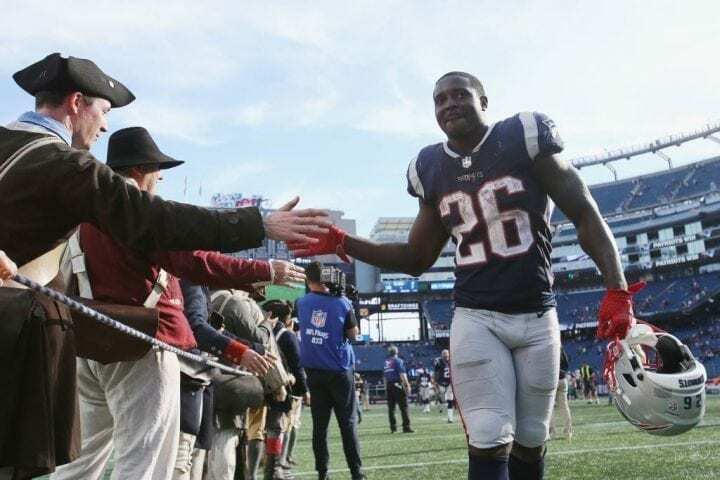 Supposedly short of quality receivers for Tom Brady (23-of-35, 274 yards, three touchdowns), they turned to rookie back Sony Michel (112 yards rushing) and James White and watched them pound 224 yards on 41 touches. Controlling the ball for over 36 minutes, the Pats had 449 yards of offense. 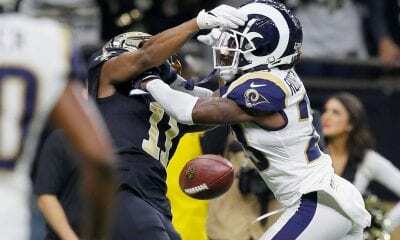 They received contributions from Cordarrelle Patterson (55-yard TD), Josh Gordon (two receptions, 32 yards), Phillip Dorsett (one TD) and The Gronk, who had four catches before leaving the game in the third quarter with a bad ankle. Next week, the Patriots get Julian Edelman back and know he’s Brady’s favorite target. So let’s summarize: The Jets and Bills stink again. The Dolphins have been slapped back. Who is going to stop the Patriots in the AFC East? This might be a good time to stop comparing Mitchell Trubisky to Kyle Orton and Bob Avellini, two of the many Chicago quarterbacks the fans couldn’t Bear. 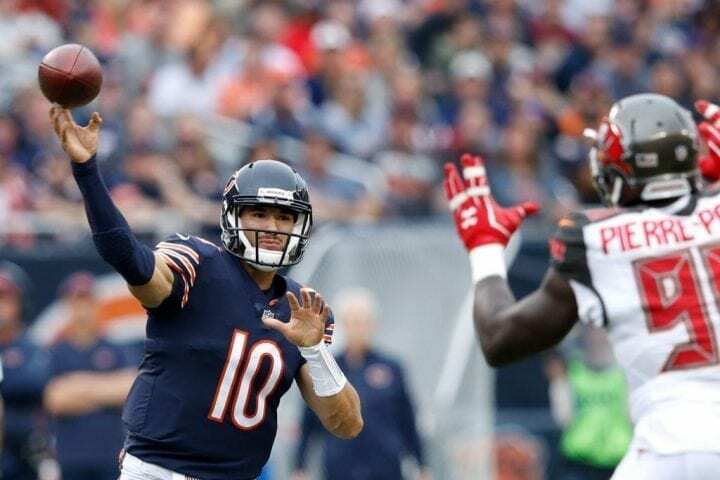 And if Sunday’s six TD passes – five in the first half – against the suddenly shaky Tampa Bay Buccaneers is any indication, the Bears (3-1) may have the offense to complement the defense that seems strong enough to take them to faraway places this season. Trubisky tossed for 354 yards with a 154.6 passer rating to lead the Bears to their 48-10 mauling of the Bucs. The defeat was so profound, Tampa coach Dirk Koettler sarcastically suggested mass firings, including his own, after the debacle. After throwing nine TD passes in his first 15 starts, and completing just four passes for 20 yards or more in the first three games, Trubisky tied the great John Lujack (1949) for the second-most scoring passes in team history. Sid Luckman threw seven in 1943. George Halas would have approved with another puff of his cigar. “Hopefully this is something I can look back on and say, ‘This is where it all started,'” Trubisky told ESPN. What’s Up With Allen And Rosen? We have utilized megabytes in multiples this season raving and recoiling over the accomplishments and struggles of Sam Darnold and Baker Mayfield, the first two QBs selected in the 2018 Draft. We love Mayfield and his budding Browns and worry about Darnold and his descending Jets. 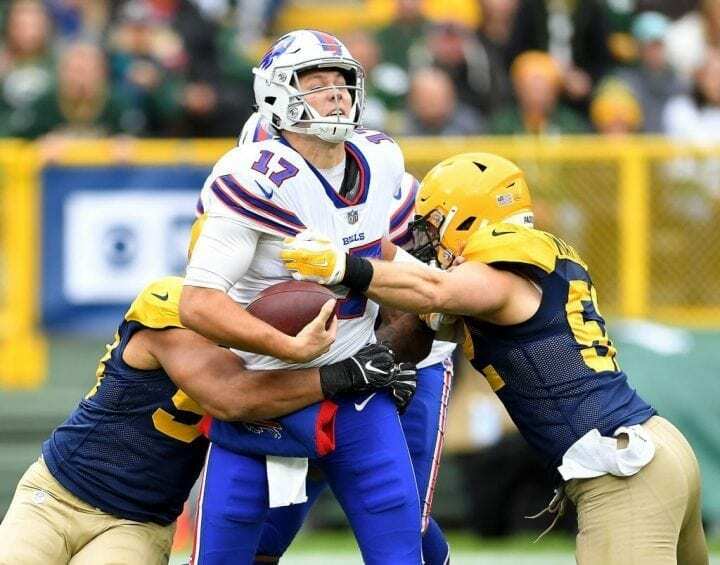 Meanwhile, Buffalo’s Josh Allen and Arizona’s Josh Rosen have also been handed their offenses, and much like the other guys, victories have been at minimum. The Jets, Browns, Cardinals and Bills are a combined 3-12-1. After presiding over the Bills’ 27-6 unbelievable win over the Minnesota Vikings, Allen was sent back to school by the Green Bay Packers during a 22-0 loss at Lambeau Field. By halftime, Allen, the seventh pick in the draft, had completed only 5-of-19 for 58 yards with a 17.9 passer rating, which is about as low as you can go without needing oxygen. The Packers were all over him, sacking the big guy seven times and registering only six in their first three games. His final stats: 16-of-33 for 151 yards and a rating of 36.3. Not exactly Jim Kelly, but still likely better than Nathan Peterman. Rosen, the 10th pick, made his first career start on Sunday against the Seattle Seahawks and completed 15-of-27 for 180 yards and one TD. He has a powerful, accurate arm. And his numbers would have been much better if his receivers – even Larry Fitzgerald, for goodness sake – hadn’t dropped the ball so many times. 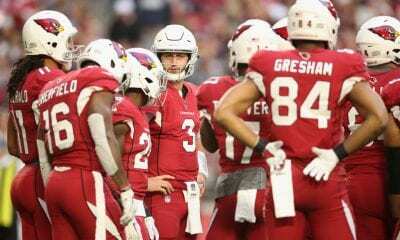 It might have been enough to get the Cardinals their first win had kicker Phil Dawson not missed from 45 in a tie game with less than two minutes left. That gave Russell Wilson time to set up Sebastian Janikowski for his winning 52-yard field goal as time expired for a 20-17 defeat. Arizona is 0-4 for the first time since 1986. There is no doubt the Cardinals are committed to Rosen. Last week, they dropped previous starter Sam Bradford to their No. 3 guy, in favor of Mike Glennon. Bradford wasn’t on the active roster on Sunday, which cost him a $300,000 roster bonus. 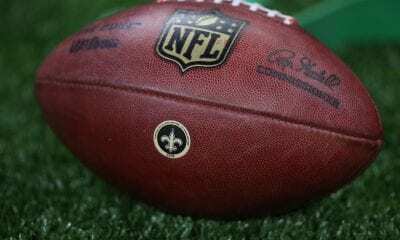 The Indianapolis Colts lost 37-34 in overtime to the Houston Texans on Sunday. But that didn’t diminish the significance of Adam Vinatieri’s 42-yard field goal in the second quarter. The kick enabled Vinatieri to break Morten Anderson’s NFL record for field goals (565) and certainly paved his path to join Anderson in the Hall of Fame. Vinatieri kicked No. 567 in overtime before the Texans rallied for the win. Of note, Vinatieri needed 38 fewer attempts to set the record. Vinatieri has been in the league for 23 years, beginning, of course, with 10 seasons for the Patriots, for whom he kicked his first 263. He is fourth in all-time games played with 341. “Yeah, I think I’ll probably think about it more when I’m done and gone at some point,” Vinatieri said. “It’s kind of funny: I was thinking about when guys were congratulating me during the game. And it kind of hit me like, ‘Wow, nobody’s kicked more, you know? I mean, it just kind of hit me like that, like, wow, this is more than anybody else has ever done. It’s likely Vinatieri, 46, will pass Andersen for the NFL’s all-time points lead (2,544) later this season. Vinatieri has 2,519. The era of one of the NFL’s coolest nicknames for a defense ended Sunday when Seattle safety Earl Thomas broke his leg for the second time during the win over the Cardinals. No one is saying definitively, but the postgame mood left you believing this might be it for Thomas. If you were paying attention to the ticker at the bottom of your television screen on Red Zone, you would have known the Seahawks had been trying to trade Thomas for a pair of second-round picks after his contentious offseason holdout. You probably also noticed the middle finger he offered Seattle’s bench as he was being wheeled to the locker room. From 2012-15, the Seahawks had the best defense in the league and their starting secondary – Thomas, Kam Chancellor, Richard Sherman, Brandon Browner and Byron Maxwell – were given the “Legion Of Boom” nickname. No more boom. Just gloom.